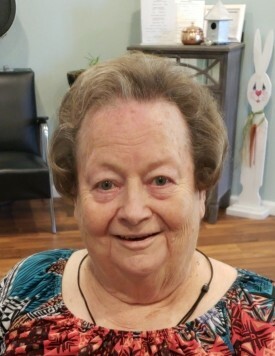 Shirley Ann Cothern, age 76, of West Green, Georgia passed away on Saturday November 17, 2018 at her daughter’s residence. Mrs. Cothern was born on November 27, 1941 in Coffee County, Georgia the daughter of the late E.W. Kight and Annie Ring Kight. Mrs. Cothern retired from PCC after twenty-six years and was a member of West Green Church of God. She was preceded in death by her husband, Sammy Cothern, two brothers, Herman Kight and Winston Kight and a granddaughter, Samantha Burkett Veal. Survivors include daughter, Wanda Burkett (husband Wade) of Douglas, GA; two sons, Randy Cothern (wife Stacey) of Douglas, GA and Dobby Cothern (chosen one, Debbie Reliford) of Douglas, GA; sister, Martha Kight Dutcher of Galveston, TX; four grandchildren, Hollie Rigdon (husband Brent) of Nicholls, GA, Lacey Selph (husband Sam) of Douglas, GA, Audry Cothern (husband Stephen) of Nicholls, GA and Chelsie Youngblood (husband Tyler) of Nicholls, GA; three great grandchildren, Aiden Youngblood, Emily Selph and Kase Youngblood. Funeral services will be held on Saturday November 24, 2018 at 11:00am at West Green Church of God with Rev. Hugh Anderson and Rev. Kevin Bounds officiating. She will lay-in-state from 10 until 11:00am prior to the service. Interment will follow at Calvary Full Gospel Tabernacle Church Cemetery. The family will receive friends Friday evening from 6 until 9:00pm at Sims Funeral Home. In lieu of flowers memorials may be made to West Green Church of God Building Fund, George Deen Rd, West Green, GA 31567.